In 2016 the founder, Brandon Dull, visited Cap Haitian in Haiti with a small bag of clothes and a guitar on his back for the first time. He walked off the small passenger plane with no knowledge of how to speak the language, the culture, or how he would be accepted by the local people. Armed with his guitar, he and two other musicians, were able to communicate through music. Instructing several different music classes, students traveled far and wide. Upon his return to the United States, he was changed and wanted to continue to make an impact on the community. 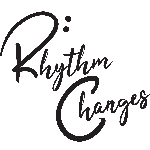 Through his experience Rhythm Changes was Formed.